We deal with a new method called CDA (Ccrossed Double Averaging) which is used for processing brainelectrical signals. CDA significantly enhances the diagnostic tools available in clinical neurophysiology up to now. If you are interested to implement CDA into your range of products for neurophysiological diagnostics we support you with our experience and know how about this method..
Based on CDA we also perform scientific investigations of drug effects on those brainelectrical signals which are specifically related to the brain functions of perception, cognition, behavior and the background state. This work is particularely focussed on CNS drugs being under development and on all other drugs which are to be investigated with regard to undesired cerebral side effects as well. If you are interested we may use CDA in combination with any other method available for brain function diagnostics. Our innovative CDA procedure makes it possible for the first time to specifically separate and extract the brain potentials due to perception, cognition, behaviour and background state. 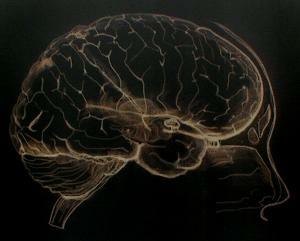 The results of CDA analysis are brain potentials specifically indicating these basic functions of the brain. The potentials extracted by CDA effectively are free from any contamination by brain functions which are simultaneously active in a parallel mode or immediately following in a consecutive order. And furthermore, the conventionally raised brain function potentials, i.e. the commonly established evoked potentials of the brain, are available as byproducts. In case of event related potentials (ERP) or similar long latency potentiales, for instance, CDA analysis can be applied without any significant change of the investigational procedures. The innovative changes introduced by CDA mainly concern the approach to analyze the data. CDA not only is a unique method of processing brainelectrical signals, but also is a unique tool to establish brainelectrical potentials specifically related to basic brain functions. No other diagnostic tool discribes such powerful indicators of the perceptual, cognitive, behavioural and unspecific background functions of the brain. The brain potentials extracteted by means of CDA may greatly contribute to clarify basic brain mechanism and specific functional disturbances relevant to neurology, psychiatry, pharmacology and experimental psychology. Please click here for scientific papers in english. Please feel free to contact us for further information, literature etc.